According to Yahoo!, “Google has picked out 8,000 people who will be given a chance to don a pair of Internet-connected glasses and make a fashion statement likely to be envied by gadget-loving geeks around the world.” The new Glass product was awarded to those who submitted a 50-word application on how they would use the breakthrough technology. After wading through the myriad of ideas, Google began to notify winners on Tuesday. Winning in this case, has a quite a pricetag. The individuals chosen will have to pay $1,500 for the product and make their way to New York, Los Angeles or the San Francisco area to retrieve the device. Glass won’t be fully available until the end of the year or early next year. 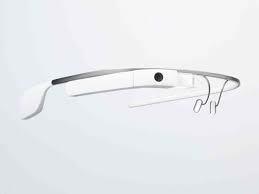 Google Glass is supposed to perform many of the functions that we use smartphones for now, except the glasses respond to a voice command, which I’d liken to the iPhone’s Siri. The results are seen on a small screen, placed on the rim of the frame, above the right eye. There is a tiny video camera attached there as well. The how-to’s are fascinating and intriguing. I encourage you to take a tour on their website. It’s some pretty nifty stuff. Glass seems like something we used to see on TV, when they’d have cartoonish predictions of what the future would be like. The glasses resemble a gadget we would have seen on an episode of The Jetsons. But the real question is, where is my Rosie the Robot? That’s what I really need. Well, that and I wouldn’t mind a flying car. For me, there is a dissection here though. My fascination with all things tech (and the notion that what we thought was futuristic gobbledeegook a couple of decades ago, is now actually a possibility) -vs.- Big Brother intrusion. When I was in high-school, I thought we were lucky to have a beeper and our own phone line in the bedroom. Now toddlers can operate iPhones and tablets better than their parents can. This is an incredible, yet troubling thought. Where will be in 20 years? As exciting and awe-inspiring as it is, it frightens me a bit. Would you worry about your security if these become popular? Some “privacy watchdogs” are already concerned. Critics worry that it can interfere with driving and personal privacy. How would you feel talking to someone who had glasses on, that are video enabled? Would you feel comfortable engaging in conversation? For me, if I were unfamiliar with the individual, I’d probably request they remove the device. Come to think of it, I’d have my friends take them off too. I wouldn’t want to end up in some YouTube video or gif of the day, for some inevitable stumble or blunder. I guess we’ll just have to wait and see if these become a popular device or just a blip on the cool new gadgets radar. Would you want to wear a pair of the Glass? Would you pay the $700-$1,500 price tag for the finished product? What 50-word idea would you have pitched to win a pair? And would you pay the premium to have one from the beta group? Check out the “How It Feels” video. 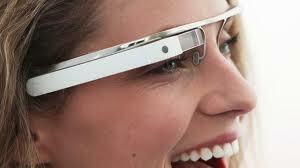 If you would like to stay informed about Glass, you can sign up here.